This is orange syrup pound cake recipe isn’t mine – let’s get that out of the way! 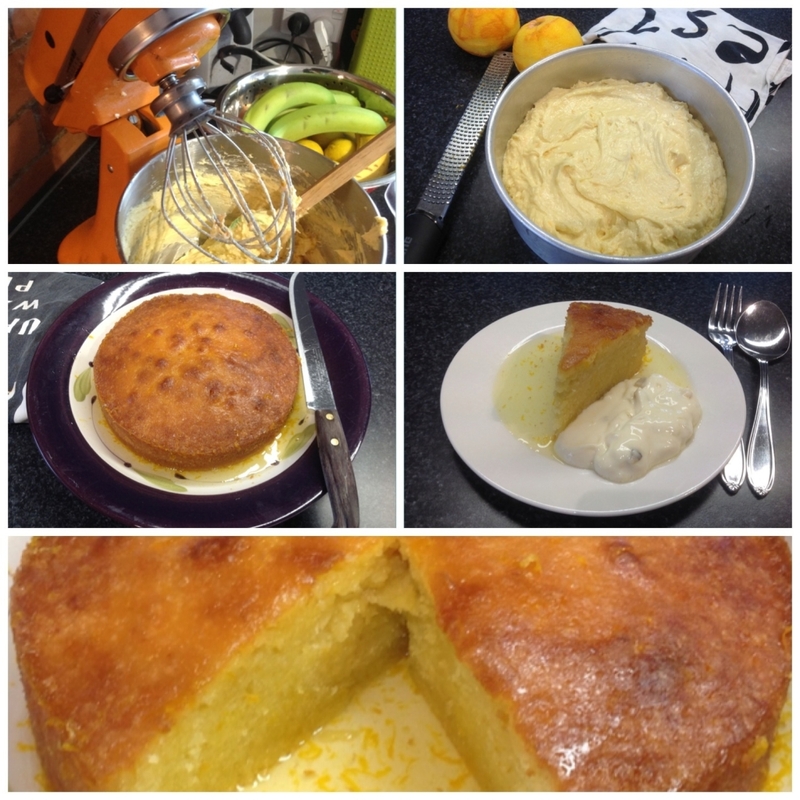 Nope, not mine, it’s from NZ Masterchef judge Ray McVinnie and it’s a recipe I’ve made regularly for close to 15 years. It’s a proper ‘grown ups’ cake, although a 13 month old came for lunch recently and he scoffed it. So I guess it’s really a cake for all ages! Ray’s base recipe uses lemons, but my orange tree is still going bananas, so I substituted the lemons for oranges and in the syrup I reduced the sugar content as the orange juice brings additional sweetness. I’ve made this using limes too: YUM. I wrote a post a recipe a few months back that was quite similar to this one (I guess I like oranges!) but this recipe is much simpler and quicker, especially if you are lucky enough to own a cake mixer. Katie (My-Kitchen-Aid-Cake-Mixer) does a beautiful job of this for me, it’s a doddle and the cake itself only takes about 6 minutes to make. Besides, you’ve gotta love a cake that has batter requiring five ingredients (keeps the purists happy). Preheat oven to 180 degrees (normal bake). Butter a 20cm diameter loose bottomed cake tin and line bottom with greaseproof/baking paper. Cream the butter, castor sugar and citrus zest with vigorous beating until pale and fluffy (use a beater or, ideally a cake mixer). Beat in the eggs, one at a time, beating well after each addition. Stir in the flour until well mixed, but do not beat. Pour mixture into greased cake tin and bake for 45 mins to 1 hour, or until a bamboo skewer comes out clean. Remove cake from tin and let cool. If you like you can leave the cake like this, forgo the syrup (and save your teeth!) and dust with icing sugar. TWO: Or you can do what I like to do - pour half the syrup over the cake and let it soak up and keep the other half of the syrup to serve with the cake.